Most rite-of-passage pictures focus on teenage lads, so it makes a refreshing change to follow a couple of girls discovering the pleasures and pitfalls of life. 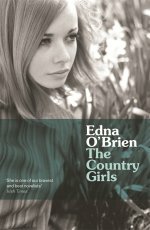 Adapted from the novel by Edna O'Brien, this engaging account of growing up in 1950s Ireland takes us along the familiar route from convent school to the big city. However, director Desmond Davis succeeds in presenting each little act of rebellion and stolen moment of innocent passion as something exhilaratingly new. Maeve Germaine and Jill Doyle seem to burst through the screen, but it's the corrosive charm of Sam Neill which lingers longest in the memory.